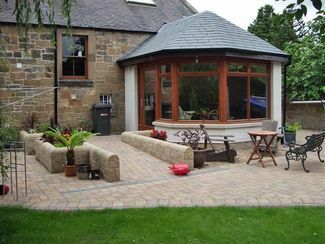 Garden room to a Georgian bungalow in Eskbank, Midlothian. Completed. On the drawing board. Internal alterations, external decking & steel/timber pergola to bungalow in Livingston. 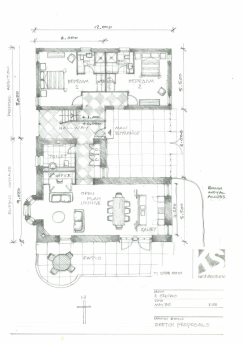 Building Warrant application submitted. 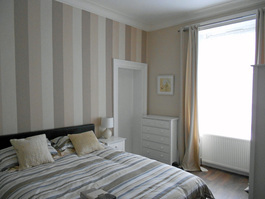 Internal renovation of a dated ground floor flat in Central Edinburgh. 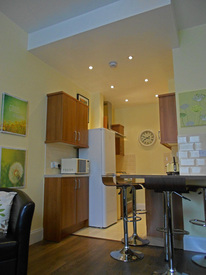 Formation of open plan kitchen and a larger bathroom to offer bright, modern rental accommodation. Completed April 2013. © 2018 KS Architectural. All rights Reserved.